Mitchell Warren, 24, was killed in San Francisco's Tenderloin neighborhood on Sept. 30, 2016. 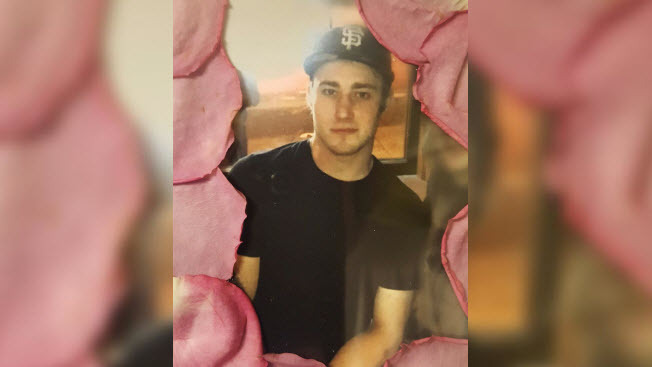 Police are asking for the public's help in solving a 2016 shooting in San Francisco's Tenderloin neighborhood that killed a 24-year-old man. Police today released surveillance images and video of the suspect believed to have killed San Francisco resident Mitchell Warren. The videos were obtained during the ongoing investigation into the homicide, police said. The fatal shooting occurred on Ellis Street between Polk and Larkin streets around 4:30 a.m. on Sept. 30, 2016. At the scene, officers found Warren suffering from a gunshot wound. He was taken to Zuckerberg San Francisco General Hospital, where he died from his injuries. At the time, police were unable to locate the male suspect. "Over the next year and a half, investigators have been diligently trying to identify the suspect in this instance. We have looked at countless hours of surveillance, we have interviewed numerous people, but we still have been unable to positively identify the shooter," Commander Greg McEachern said. "What we're asking for is for the public to come forward to help us identify who that individual is." "Losing my baby brother has shaken me to my core," Warren's sister Ashley said. "Even though he was our little brother, he was our protector. He was so loved." Warren had lived in Pacifica for most of his life, according to his family. "On Saturday, it will be Mitch's 26th Birthday, but instead of wishing him a happy birthday, we're begging you to help us find who murdered him," she said. In a surveillance videos that was allegedly taken after the homicide, which can be found online at https://vimeo.com/280642862, the suspect is seen riding on the handlebars of a bicycle. The person pedaling the bike is not a suspect, according to McEachern. "The information that we have at this time was that Mr. Mitchell Warren was in the area and got into an altercation with the suspect and during that altercation he was shot. The exact circumstances of what was said during that altercation is what we're looking to get to the bottom of," he said. Anyone with information is asked to call the police department's 24-hour tip line at (415) 575-4444 or to send a text message with "SFPD" at the beginning of the message to TIP411. Tipsters have the option of remaining anonymous.